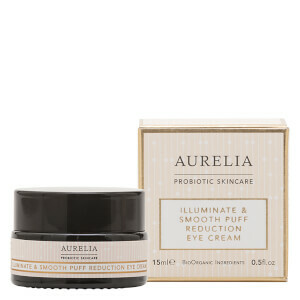 Experience next generation skincare with Aurelia Probiotic Skincare Cell Revitalise Day Moisturiser, a lightweight whipped formula that restores moisture and luminosity to dull, dehydrated skin. Inspiring a radiant, dewy complexion, the intelligent moisturiser combines concentrated BioOrganic 100% pure botanicals with probiotic and peptide technologies to soothe, hydrate and revitalise the skin's surface. Its dose of fatty acid-rich Borage oil locks in moisture; Kigelia Africana and Hibiscus botanicals deliver a firming and soothing effect and help combat oxidative stress; and Baobab expertly revitalises with its rich source of omega 3, 6 and 9. Infused with a fragrant essential oil blend of Jasmine, Plumeria, Tuberose and Mandarin, the antioxidant-packed moisturiser will leave skin soft, hydrated and radiant. 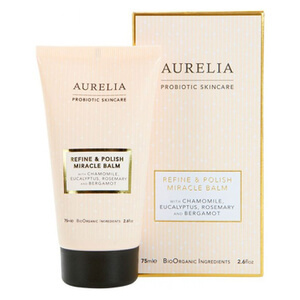 Doubles as a perfect makeup primer due to its potent peptides that hydrate the skin's surface for a smooth, flawless finish. Наносите крем кончиками пальцев на кожу лица, шеи и зоны декольте утром после очищения. Помассируйте для улучшения кровообращения и придания коже невероятного сияния. Aqua/Water (Purified Water), Aloe Barbadensis Leaf Extract (Aloe Vera), Bifida Ferment Lysate (Probiotic Culture), Butyrospermum Parkii (Shea Butter), Cocoglycerides (Emollient From Coconut Oil), Glycerin (Vegetable Glycerine), Glyceryl Stearate SE (Natural Triglycerides & Emulsifier), Lactose (Probiotic Bifidoculture Milk Extract), Lactis Proteinum/Milk Protein (Probiotic Protein), Coco-Caprylate (Coconut Based Emollient), Cetearyl Alcohol ( Vegetable Based Thickener), Rhus Verniciflua Peel Wax (Berry Wax), Borago Officinalis Seed Oil (Borage Oil), Rosa Damascena Oil (Rosehip Oil), Argania Spinosa Kernel Oil, Prunus Armeniaca (Apricot) Kernel Oil, Kigelia Africana Fruit Extract (Botanical Kigelia Africana), Hibiscus Sabdariffa Flower Extract (Hibiscus Flower), Adansonia Digitata Fruit Extract (Botanical Baobab), Citrus Nobilis Peel Oil (Mandarin Essential Oil), Helianthus Annuus Seed Oil (Sunflower Oil), Jasminum Officinale Flower Extract (Jasmine Essential Oil), Plumeria Acutifolia Flower Extract (Plumeria Essential Oil), Polianthes Tuberose Flower Extract (Tuberose Essential Oil), Schinziophyton Rautanenii Kernel Oil, Sodium Ascorbyl Phosphate, Panthenol, Tocopheryl Acetate, Lauroyl Lysine, Xanthan Gum (Natural Based Stabiliser), Sodium Stearoyl Glutamate (Vegetable Derived Emulsifier), Sodium Phytate (Natural Origin), Glyceryl Caprylate (Coconut-Derived Emulsifier), Benzyl Alcohol (Preservative), Dehydroacetic Acid (Preservative) , Citric Acid (Fruit Derived Ph Regulator), Limonene*, Linalool*, Benzyl Benzoate*.